This year at New York Fashion Week, Anniesa Hasibuan accomplished two things that no designer has ever done before: She became the first Indonesian designer to show a collection at NYFW, and every look in her presentation featured a hijab. A hijab is a traditional veil worn by Muslim women that covers the head and chest. 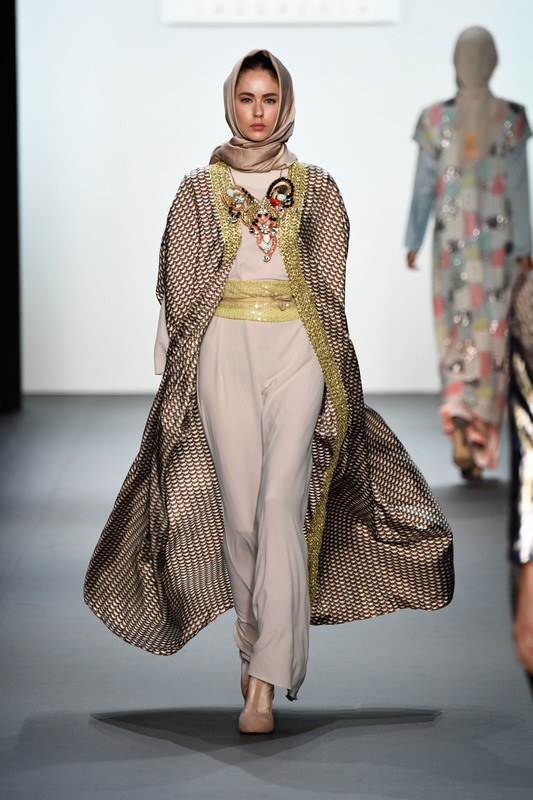 The silk and sheer hijabs that models wore in the show were stunning earthy shades of pink, purple, gold, and more. Hasibuan, who is from Jakarta, drew much inspiration for this collection from her hometown. In fact, she always keeps a small Indonesian flag on her person during shows to calm her nerves. “I want to bring the Indonesian name to the fashion world, and use my clothes to introduce people to the different and diverse parts of Indonesia,” Hasibuan told The Jakarta Post. 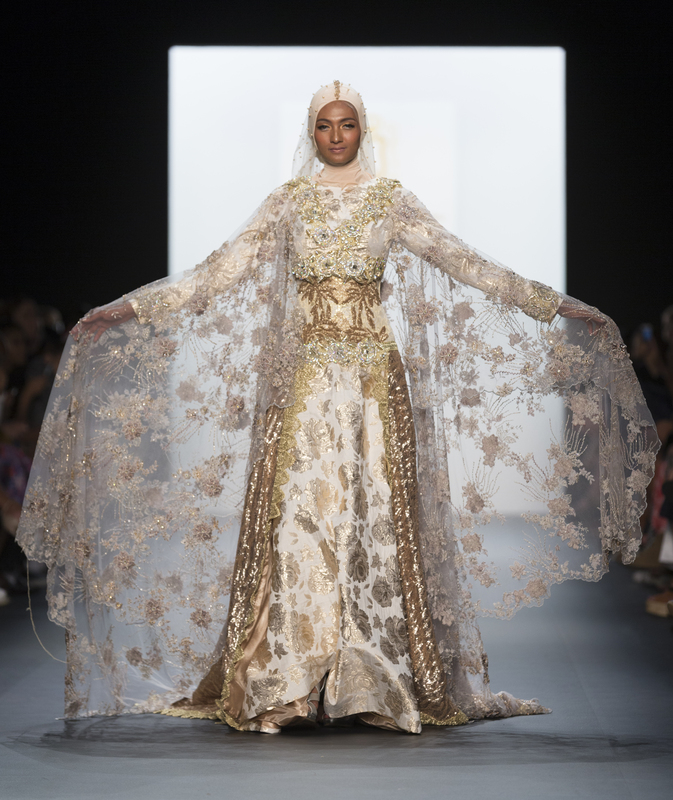 Long silk skirts, beautifully patterned pants, bold metallic jackets, breathtaking flowing capes—we’re in fashion heaven with these grand detailed designs! What really pulled her looks together was the expert styling with wide belts and larger-than-life jewelry. The Jakarta Post also reports that Hasibuan only began her career in fashion a year ago; designing was simply a hobby, and she only shared her sketches with close friends and family. It’s incredible that after just one year, she’s already showing at NYFW! But make no mistake—she’s put in a lot of hard work to get where she is today. 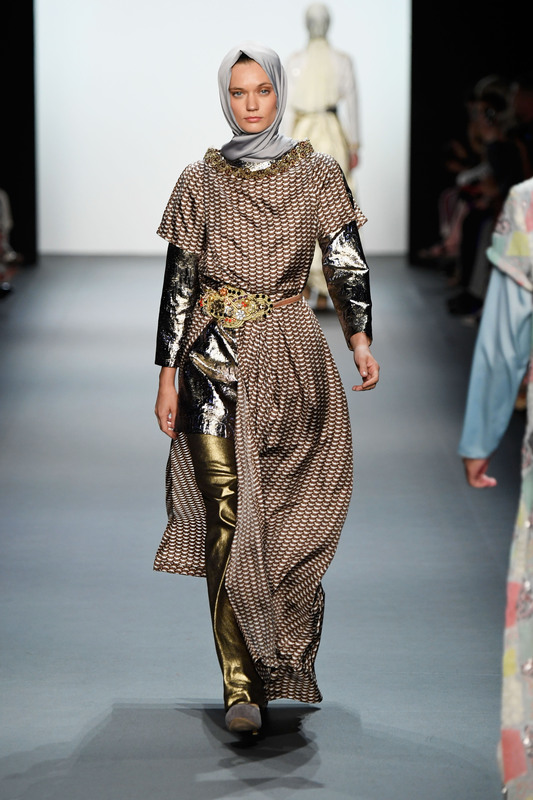 This may have been Hasibuan’s first New York Fashion Week, but it certainly won’t be her last! 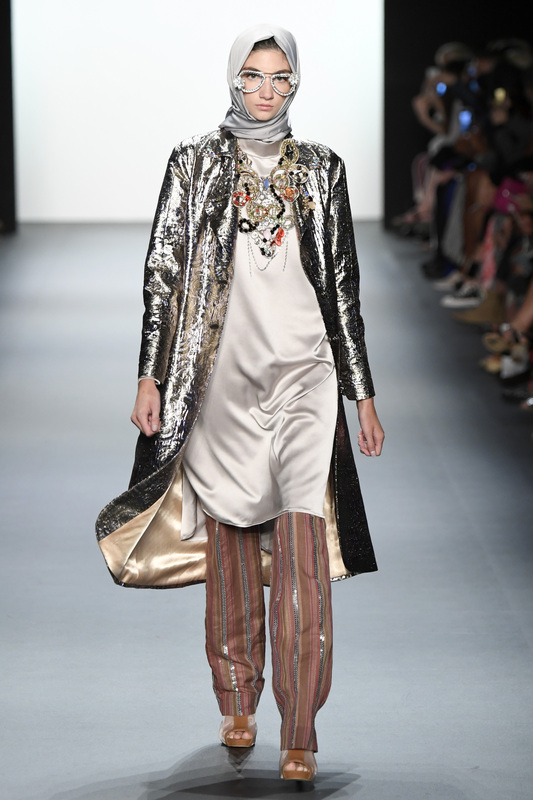 She’s made a name for herself as one of the fashion world’s most talented new designers.